Built to take everything you can dish out... at a great price. Take your Crestliner anywhere! Add an electric motor for $119! 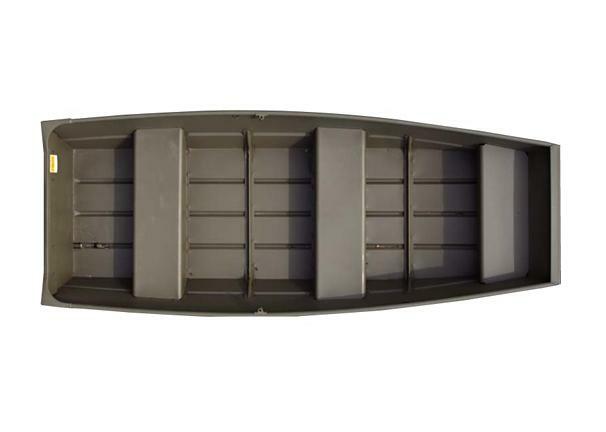 These are tough, lightweight jon boats perfect for putting in the back of your pickup for hunting in remote lakes or fishing shallow backwaters. They are available in 10 to 18 foot lengths. Wide and durable, this small fishing boat simply gets the job done. This 10'er weighs 80# and is great for 1-2 people. Throw it in your pickup or on top of the SUV!